All too often I see homes listed as being sold “as is”. There are certainly pros and cons of listing a home as-is. And buyers and sellers need to know what that truly means. I have seen listings that proclaim this property is “turn key” ready or “shows well”. And then it indicates that the property is “as-is”. 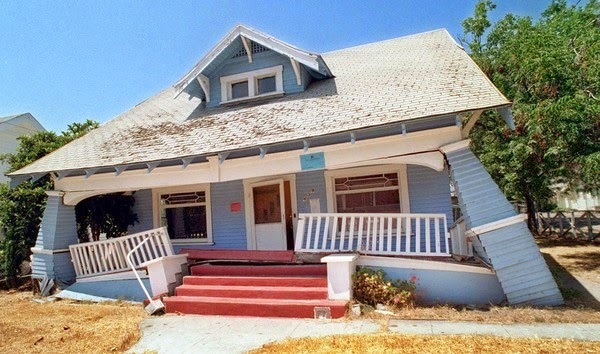 The seller’s version of an as-is property is that the seller does not intend to make any repairs to the property. This may or may not be a wise move. Some repairs are relatively simple and certainly should not get in the way of closing a deal. The buyer’s version of an as-is property is that there must be something wrong with the property – and they are most likely correct. It also tells the buyer that there is something wrong with the property and I’m not telling you (buyer) about it. It takes us back to the days of “caveat emptor” (let the buyer beware). But sellers and buyers need to understand that by simply checking off a box that says, “as-is” it does not relieve the seller of revealing latent defects. Latent defects are faults in a property that could not have been discovered by a reasonably thorough inspection before the sale. Whether a property is being sold as-is or not, these defects must be disclosed to a potential buyer. Certified Home Inspectors have come a long way in detecting defects in a property, but there are still many latent defects that can go unnoticed. One example of a latent defect is a septic system that is no longer in use. Even though the tank may be empty, in time, the concrete will fail and there will be a section of land that will sink into the old septic tank. Many of the older properties did not record where the septic tanks were located, and it is possible that current home owners have no knowledge of the old tank. Nevertheless, if the seller has knowledge, it is incumbent upon the seller to disclose that fact. Buying a home is a major step for the vast majority of people and making sure you have expert help along the way is critically important. 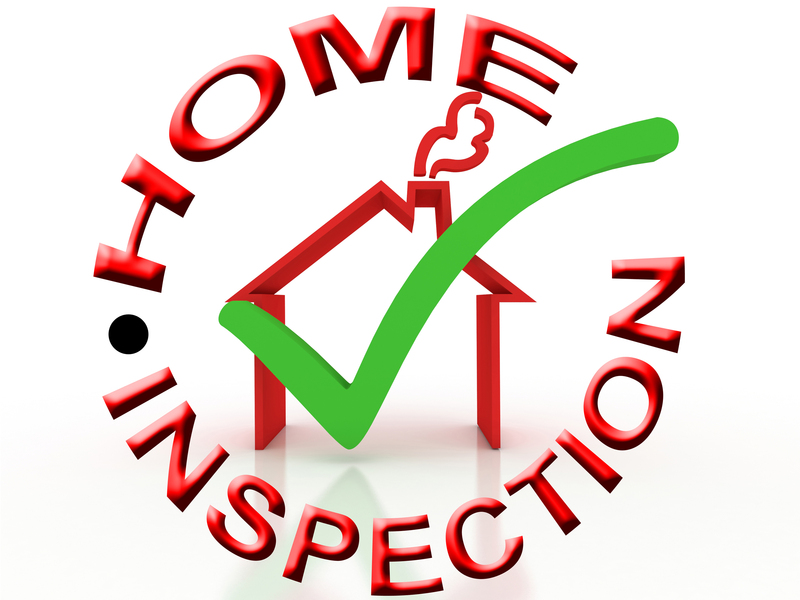 Having a home inspection by a qualified, certified home inspector is truly a must. When it comes to buying a home there are two types of defects that home buyers need to be aware of – patent defects and latent defects. The first defect is a patent defect: For example, you walk into a house and you notice a dripping faucet. Although no one truly wants a dripping faucet it is clearly visible to a potential buyer. The buyer came either negotiate having the faucet fixed or they can take care of it themselves once they have closed on the property. The more serious of the two defects is a latent defect. A latent defect is a defect that is not visible to the naked eye to a normal person. For example: A crawl space under the house that has a leaking water pipe that has resulted in mold. Few potential buyers would go under the crawl space to have a look. This is why potential buyers should always have a home inspection conducted by a qualified, certified, licensed home inspector. This does not include a relative who once worked on a construction project. This is money well spent as it can save you from buying a home with problems or at least negotiating the repairs. The home inspector will conduct a thorough inspection of the property and provide the buyer with a detailed, written report of their findings. They will identify patent and latent defects and make recommendations on how it should be corrected. It is important to note that not all latent defects may be observable to the inspector, but they will report those items that they can. There is one more step that should help to protect potential home buyers. Latent defects that cannot be identified by a normal person, and that the seller or real estate agent has knowledge of, must be reported to a potential buyer. Sellers who fail to report latent defects that they had knowledge of may be liable to the buyer after the closing. When you are in the market of buying a home, all too often home buyers let emotions rule rather than sound advice about the home you are about to buy. 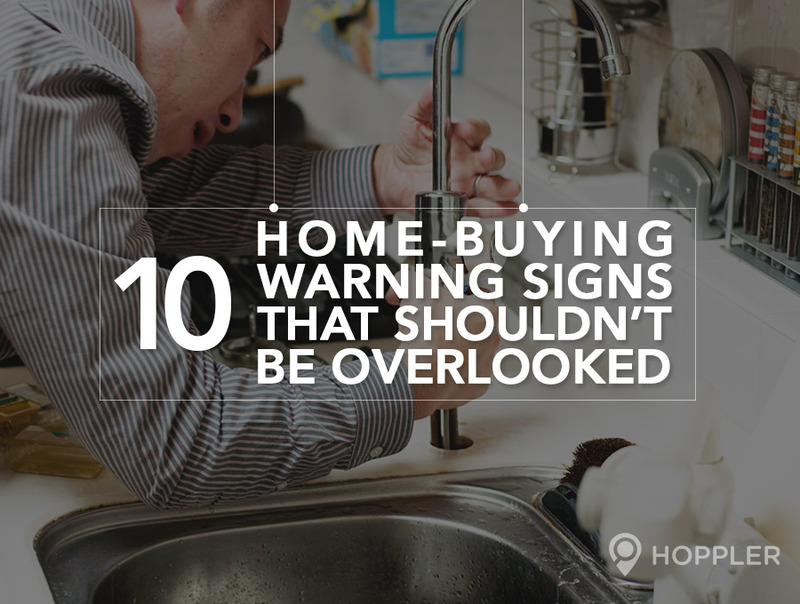 Here are some tips that every buyer should have on their radar when looking at a home. All too often sellers think it is a good idea to have an overwhelming scent in the house to make it smell pretty! Unfortunately, what is a good smell to one, is a bad smell to another. The word of advice for sellers, make sure your house is clean – the less smell you have in the house, the better. As a REALTOR®, I would advise anyone and everyone to avoid scents in your home, especially burning scented candles. Artificial scents in the home may be an attempt to mask other scents. Buyers should be aware of deferred maintenance, such as burned out light bulbs, leaky faucets, yard that is not groomed. These may be signs that other maintenance was ignored, such as changing furnace filters on a regular basis. Deferred maintenance can cost the home buyer later. Cosmetic touch up can be an indication of a larger, ignored problem. A room that has one wall repainted, but not the rest, may be indicative of a problem that needed to be covered up, such as a water leak. Foundation cracks may be slight cracks from settling or it may be a sign of a much more serious problem. I have repeated many times in this blog to always, always, always have a home inspection done by a qualified, certified home inspector. Only then can you be reasonably sure that the crack in the foundation is normal or an indication of a much more serious problem. Most buyers are aware to look for water damage within a house, such as spots along a wall that may have indicated a water leak at some point in time. But the other thing involving water that buyers should be alert too is that beautiful creek out back. What may be a quaint babbling brook may turn into a torrent of water with the slightest of rain and may encroach your home. Several years ago, mold became the issue that every buyer was looking for. Black mold was the kiss of death in trying to sell your home and rightfully so. Black mold is a very serious health risk and buyers need to be aware of mold. However, let me very clear, just because a mold is black does not mean it is Black Mold. Only someone certified in identifying the various types of mold can make that determination and only then by having it tested by a lab. Never the less, any indication of mold indicates an abundance of moisture in an area and needs to be evaluated. As indicated in number 6, uncontrolled moisture can lead to several problems and may indicate improper ventilation. A good home inspector will be able to identify this issue and say what the problem most likely is. One area that I think buyers and even real estate agents may overlook is the unanswered question on a home disclosure. Most people will skim the disclosure form looking for something to jump out at them, but pay little attention to a question that the seller simply did not answer. To me that is a red flag that warrants extra scrutiny. Windows that do not open and close smoothly may be an indication of foundation issues or simply cheap, poorly installed windows. In either case, it can cost the buyer money down the road. One area that warrants a closer look and that is any patch work. If you have ever had a plumber come to repair a leak from a pipe in the wall, you will know that they will cut a spot out of the wall, repair the leaky pipe and leave you to repair the hole in the wall. Trying to get someone out to repair one small section of drywall is next to impossible, so often times home owners will try to repair it themselves. Be watchful for repair work on drywall or tiled areas that appear to have small areas that were patched. Beyond a shadow of doubt one of the most important steps a home buyer can make is to opt to have a home inspection. If you are thinking of buying a home, having an inspection should be an absolute given. A home inspection can range in the vicinity of $500- $600, depending on your location and what all you decide to have inspected. This is probably the best money you can invest in your home search. Selecting the right inspector is critical. Your REALTOR® will be able to help you find a suitable inspector. There are two pitfalls that all too often home buyers fall into. One is deciding that the Property Disclosure document that the sellers filled out will tell them if there are any issues that buyers need to be aware of. Unfortunately, often times there are issues that the sellers are not even aware of and as such were not listed on the disclosure. I won’t even go into the issue of whether or not the sellers were honest or not. The second pitfall home buyers can fall into is having a friend or relative that they think may know a lot about home construction to “take a look” at the house to see if it is in good shape. Even if this person is very knowledgeable about home construction, in many states the contracts will require that the inspectors be “licensed and qualified” in order for you to negate the contract based on issues found with the house. Having a good friend of the family who is not licensed or qualified may not allow you to get out of the contract if issues are found. Always, always, always use a licensed and qualified home inspector for your home inspections. As always, if I can help with any of your real estate needs, please feel free to text or call me at 30`1-712-8808 or email me at RolandLow1@gmail.com. Buying a new home can be a very stressful time. In addition to taking on a large amount of debt, buyers have a sundry of other expenses that keep popping up, such as closing costs, insurance, moving expenses and the home inspection to name a few. First of all, a home inspection by a qualified, licensed home inspector can identify a wide range of issues that may be lurking just out of sight to the buyer. Even if an item is working properly at the time, it may be just a matter of time before the owner could expect to have to repair or replace. Even if the item doesn’t need to be replaced at the time, it could possibly be a negotiating tool to adjust the price. The second issue that I think needs attention is for buyers to not use an uncle or family friend to “take a look” at the property and see what they think. Having a family friend give their thoughts on the property may encourage the buyers one way or another, but in all likelihood unless that uncle or family friend is a licensed, qualified home inspector, their opinion will not considered acceptable as it pertains to the contract. Maryland real estate contracts states that the buyers have the right to have the property inspected by “ … a qualified professional engineer, licensed home inspector, or other expert . . .”. Whether or not an uncle or family friend would qualify as an expert could complicate the contract as it relates to the property inspection. If you are thinking of buying or selling talk to a real estate professional – talk to a REALTOR® – who can give you the information you need to make an informed decision. When buying a home, especially your first home, you will often times feel like leaving your check book at the front door with a bunch of blank checks already signed ready for the next person who needs you to pay for something – it would just make things quicker! Having a home inspection may be one of those things that home buyers add to the list of things to pay for. But having a home inspection by a qualified home inspector is one of those steps you do not want to forgo. 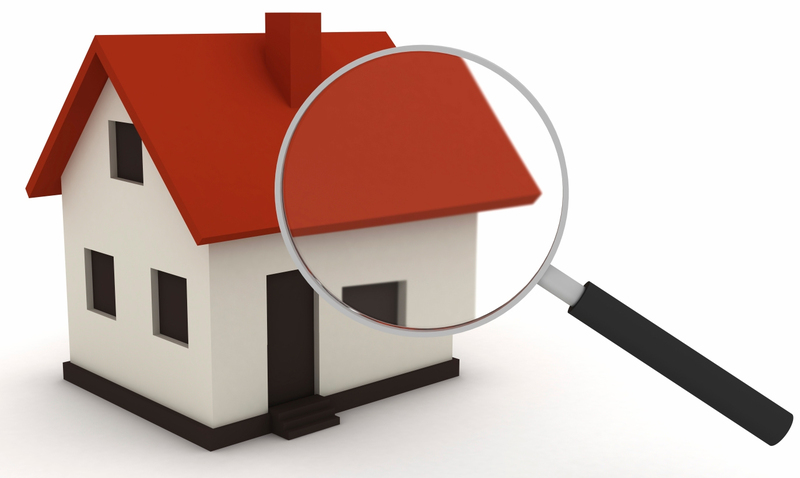 There are several reasons why a home inspection by a qualified home inspector is so important. Be sure to select a home inspector who has had training in the inspection of homes. A construction contractor who has spent x number of years constructing homes may or may not have the experience to objectively inspect homes. Your REALTOR® will be able to help you find a qualified inspector or you can search for a qualified inspector. Don’t be afraid to ask about the training they have had; the cost of the inspection, what all they will examine and what type of report they will provide. I also suggest that you ask upfront that if there are repairs that need to be made, will the home inspector come back out to re-inspect and the cost of any re-inspection. Any inspection of a home will identify numerous issues. These issues may range from a loose face plate to a structural issue in the basement. Even new homes will have a list of items identified from a home inspection. The key is to identify those issues that relate to the safety or integrity of the property. The cost of a home inspection is relatively inexpensive. I know at the time of buying a house, homebuyers are dishing out a lot of money, but compared to the size of the investment and the headaches that it can prevent, it is well worth getting a home inspection. In addition to identifying items that may not be working, a home inspection should also be able to give you somewhat of an idea of what expenses you will be facing in the future. If your roof is 20 years old, a home inspector may report that there are no indications of leaks, but realistically speaking you may be looking at replacing roof in the near future. Armed with this kind of information you can start budgeting for a new roof or a heating unit as the need may be. 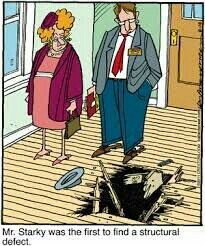 That being said, home inspectors do not have a crystal ball and can not firmly predict when something will go haywire. Depending on the contractor that you hire, they may or may not check for any type of pest infestation of the house. Some mortgage companies require a pest inspection, specifically terminate inspection. Depending on the age of the property, a pest/inspect/termite inspection is a good idea. Radon is a colorless, orderless and tasteless gas that is more prevalent in some parts of the country than others. Over exposure to radon can cause serious medical problems including lung cancer if exposed to high enough concentrations. Most home inspection companies do not include a radon test with their regular inspection, but may offer it as an add-on. I would suggest that you check with your local health department to determine if radon is prevalent in your area. Maryland has a high level of Radon. I would strongly suggest that homes be tested for radon. Depending on what the home inspection uncovers, buyers can always go back and negotiate the cost of the repairs. I had a seller-client one time that the buyer’s inspection identified some face plates that the screws had loosened slightly. The buyer listed those in the repairs he wanted done. I have had other clients who shrugged their shoulders at items I considered major repairs. Its all negotiable. If the repairs are more extensive, and the market does not lend itself to multiple offers, the buyers may want to try to renegotiate the price of the home. Although the buyers should make sure that they have the option to walk away from an unacceptable home inspection before trying to walk away, it can be a negotiating strategy. One of the biggest hurdles that are faced during a real estate transaction is overcoming the home inspection. One of the benefits of the home inspection is that it may provide an “out” for someone who has cold feet and does not want to go through with the transaction. Although this is rare, it does happen and can be a safety net. The last item I would mention is that a home inspection can offer peace of mind for a large purchase you are about to make. As the real estate market continues to heat up a lot of pent-up demand is being unleashed and buyers in many parts of the country are coming out of the wood work. Many of these buyers are first time home buyers for whatever reason was sidelined from buying during the recession. Their excitement at finally being able to buy is understandable, but there are some things that they should not be overlooked as they go about buying a house – namely the home inspection. Whether you are buying your first house or your tenth house or the house is 100 years old or new construction, I always, and I mean always, recommend that buyers have a qualified home inspection done on a property they are buying. It may cost some money up front but it can save you thousands or tens of thousands of dollars later on. Never forego a home inspection. There are five things that home inspections should be especially alert for and home buyers should be very cautious about. Mold: Buyers should note any musty smells in the home and be on the lookout for any mold. Mold can be caused by improper air circulation as well as water leaks. Pests: Termite damage can be widespread and costly to repair. Outdated fixtures and wiring: Electrical problems in a home can cause fire hazards. Buyers should take note of any indication of faulty wiring, such as cable coming out of drywall. Poor DIY jobs: Buyers should make sure that the previous home owner’s do-it-yourself projects were done correctly and are up to code. For example, poorly done flooring and painted-over wallpaper can be time-consuming and costly to fix. Drainage problems: Sloping sod can cause flooding problems in a backyard, and a slow-draining sink could be an indication of a bigger problem. Buyers should test sinks and flush toilets to test for any potential problems.